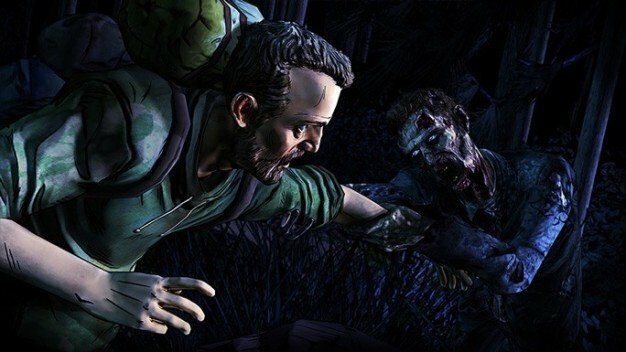 After assuring the existence of The Walking Dead Season 3 on panel at SXSW last weekend, Job Stauffer (Telltale PR Boss-Man) stressed the fact that it was still firmly on the horizon. That’s not what’s got the internet thrashing around like a pack of piranha, however. Instead, a juicy bit of meat in the form of a declaration of imminent content was thrown into the pool, causing the internet to frenzy (recall previous piranha metaphor). Across internet discussion, it’s pretty obvious that fans are expecting a 400 Days type installment from the franchise. Between Season 1 and 2, the developer released a DLC that worked to bridge the gap between the seasons, taking into account decisions from the first season and influencing your second season game. Hopefully, while we might be waiting around for a third season for a while, Telltale will provide us with a little extra to keep interest up and let us stay in The Walking Dead universe just a little longer.